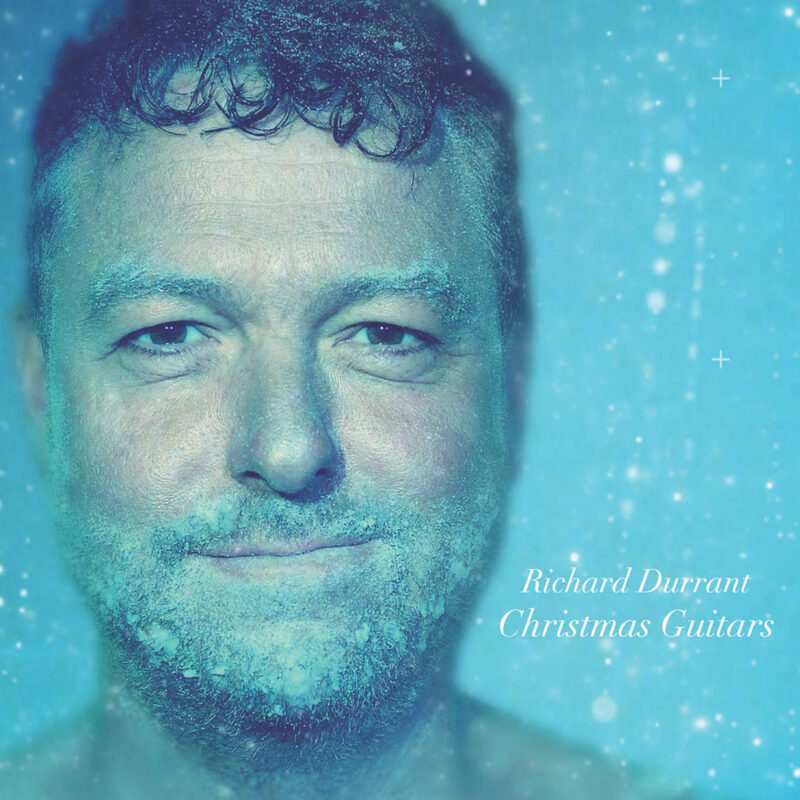 Meanwhile, we’ve been delving into Richards new online shop and have found the perfect Christmas gift with Richard Durrant’s Christmas Guitars – his 14 track kaleidoscopic vision of what Christmas means to this most gifted and eclectic acoustic musician. With Amy Kakoura’s vocals, contributions from a school choir as well as Richard’s own young children, the UK guitar maestro allies his revered technique to everything he can lay his hands on in his studio: Hammond, harpsichord, piano, cello, mandolins, ukulele and recorders are heard alongside Durrant’s guitars. And just when you think the Christmas mix cannot get any richer, up pops the gravelly voice of comedy legend Barry Cryer on ‘The Polar Bear’ – inspired by the well-documented plight of the bears in their changing Arctic environment. 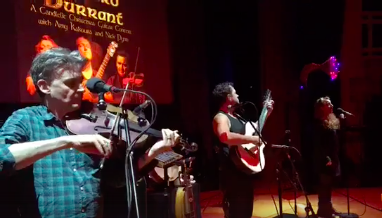 Other tracks include the pared-back poignancy of Finnish song ‘Joululaulu’ and Phil Jewson’s ‘Because of Christmas Day’ – written for Durrant and showcasing him in his element – gorgeous, solo guitar with nothing added. 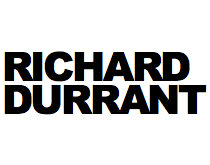 Anchoring the whole album is Durrant’s masterly tone poem ‘An Acoustic Winter Solstice’, full of icy wonder and otherworldliness. And don’t forget Richard’s other great Christmas stocking filler is A QUIET WORD FROM THE 13TH CENTURY. 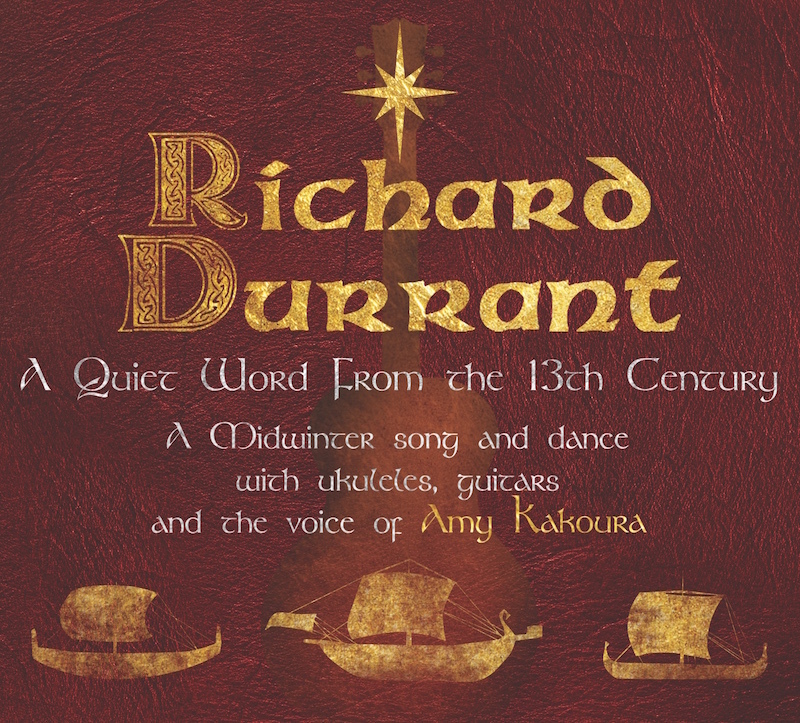 Also available as a physical CD, full MP3 album download and FLAC full album download, this Christmas album features the voice of Amy Kakoura in some seasonal favourites both medieval and new including I Saw Three Ships, O Little Town of Bethlehem and Personent Hodie.